People of New Earth Star you have ascended to a higher dimension–at this time–higher than you have in the past 200,000 years. Be proud and humble. Be courageous and wary. Be troubled and relieved. These are the paradoxes of life that surround you. Be patient with each other. Everyone is not at that level and yet no one is better than anyone else. You are all on the same plane and yet some of you also are not. Angels will be placed in difficult situations and this is not to test you. This is your Angelic mission! Only an Angel can survive in harsh situations and flourish. You are placed in these situations to bring balance. Use your light and love energy to bring balance to chaos. You have the power. Show others the way–not through lectures and pontificating with the knowledge you possess. Show them the way through your kind actions; your kind words; emanating pure kindness and unconditional love. Treat those who curse you with respect. Bless those who try to harm you with love. Your energy will repel them. They will not be able to harm you. By now, you know not to seek revenge on them. “I have not avenged myself”. Place your trust forever in God Source and Source will take care of you. Those who are still living outside of the Law of One are still beholden to the laws of Karma. You should be there to help them pick up the pieces. Some of them will eventually learn. Some of them will not and they will keep repeating the same cycles over and over until they get it right, or they fall. Some will experience physical death and reincarnation on another 3D planet. 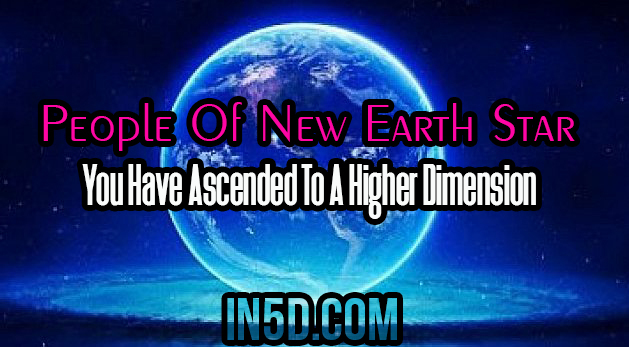 Pure energy beings of planet Gaia, Saviors of the New Earth Star, welcome to the 5th Dimension! You are beings of light that have chosen wisely and ascended through hard work, sweat and many tears. It was not an easy road and you traveled it successfully. You will begin to see planets in the sky larger than life. New worlds emerging through the clouds. Feelings of joy that cannot be undone no matter what the challenge set before you. There are many layers of the astral plane that you will traverse in the upcoming cycles. The cycles are now open for co-creation. Nothing is set in stone. All is fluid and waiting for you to manipulate with pure intentions–the new timelines and time cycles. As the new cycle began with the lunar eclipse January 31, 2018 use that energy to bring into balance your light body and produce love energy.